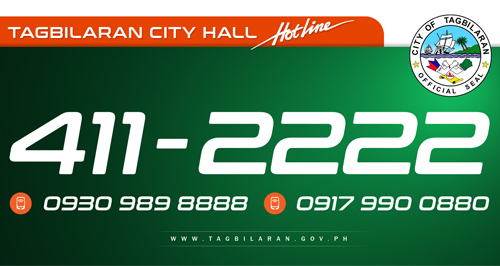 The Citizens Charter of Tagbilaran City serves as a guidebook of key government services. This guidebook is a product of the City’s efforts to improve its performance in the delivery of its frontline services. » transparency or information openness, the availability of information to the general public. This guidebook describes the key services of the City Government, written for the benefit of its customers. Its strength lies in the way the services are presented: the step-by-step procedure for availing each service, the response time for its delivery, and the City Hall officers and staff responsible of the service. These information are complemented by a list of requirements a customer must comply to facilitate service delivery. To create a spiritually animated, gender sensitive, family-oriented, culturally vibrant, educated, safe and healthy community with equitable access to broad range of services and adequate facilities. To attain a dynamic economy that promotes the development of the people’s entrepreneurial spirit and the generation of sustainable and dignified employment opportunities steered by a partnership of investors and a highly participative labor, affording an equitable sharing of benefits. To develop an environment-friendly community sustainably managing its land, coastal, water and energy resources and ambient air quality that enhances biodiversity and balanced ecology. 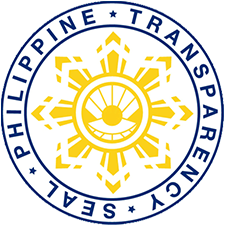 To maintain a proactive, service-oriented and efficient governance adhering to sustainable development principles through an effective partnership of a transparent and accountable local government, a participative civil society and a socially responsible private sector.